“The Rescue”singer is enjoying his vacation before his next album hits stores. Adam is the brand ambassador for Barnabas Clothing, and he recently modeled the newest threads from their line. 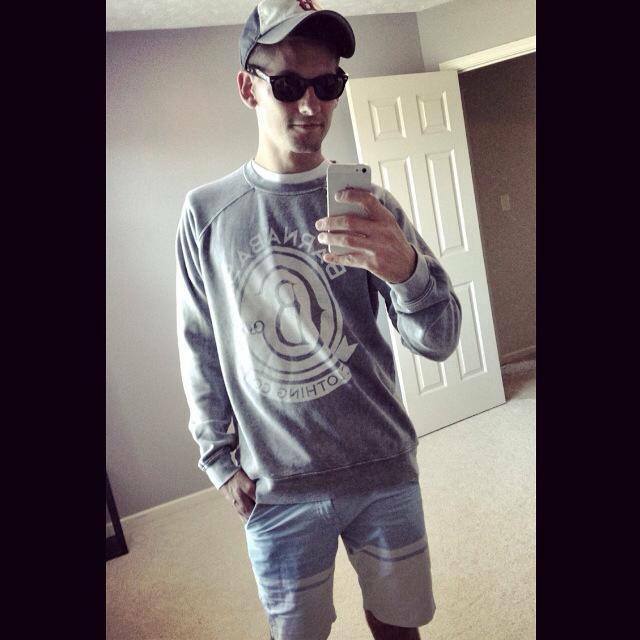 Today, he took the laid back selfie above in the grungy name brand sweatshirt. All rights to the image and quote belongs to Adam Cappa. This entry was posted in Fashion, Music, News and tagged Adam Cappa, Barnabas, Barnabas Clothing, style. Bookmark the permalink.